As the Winter months advance, so do the colder temperatures for California, Texas, and Florida. And with that colder weather, come the jokes at the expense of those residents of the states mentioned above. 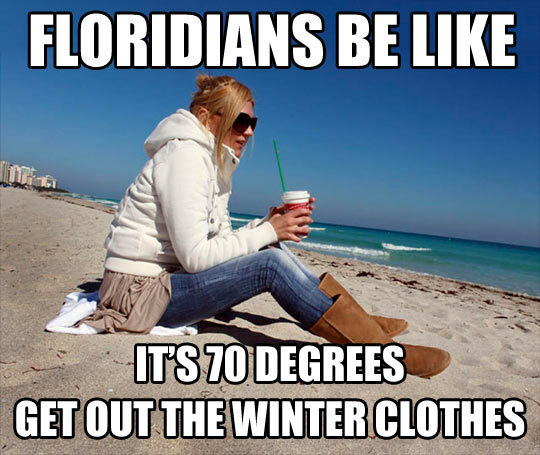 Before I became a resident of Florida, I could usually be heard reminding our southern citizens what cold really was, especially when it was in the teens or 20’s with wind chills making the temperature feel as if it were subzero. So please, do not complain about temperatures in the 40’s and 50’s. Like I said, that changed when I moved to Florida several years ago. Over the years, my body has actually acclimated to the southern climates. Just like our bodies adjusted between the seasons up north, the same thing happens in the south. However, because higher temperatures make up the majority of the year, our bodies get used to temperatures being warm. But my body has a much different issue than just getting used to the cold. 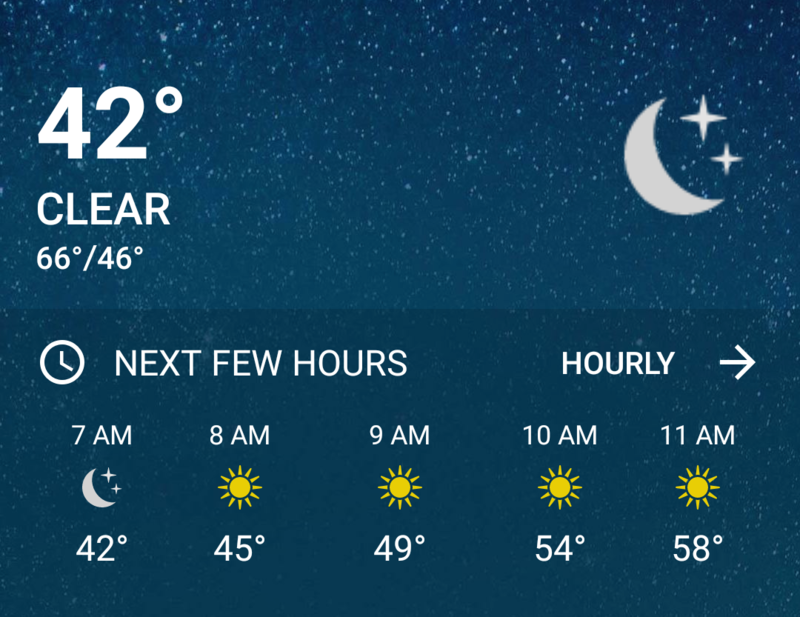 When I w0ke up and went outside, I was reminded very quickly just how much a difference the warmer climate has made a difference to me during the winter months. Though I am happy to be here nearly 28 years later after battling Hodgkin’s Lymphoma, it has come at a price to my body from late side effects from the treatments used to save my life. My lungs are one of those issues. Damaged from radiation and the chemotherapy drug, Bleomyacin, I have a couple of issues that I live with, Restrictive Lung Disease (my inability to expand my lungs more than 76%, especially with my lower left lobe “dead”) and Radiation Fibrosis Syndrome. In recent years, I have also had to deal with multiple onsets of septic pneumonia. The more permanent and progressive issue I deal with, is extreme weather conditions. Extreme heat, humidity, wind, and extreme cold cause what I best can describe as an “asthma”-like condition, with the exception that inhalers provide no relief. When exposed for too long of a period to the conditions, I must return to a normal air temp and climate and simply wait out the event until the pain subsides and my normal breathing is restored. The time varies on how quickly this happens, but if not controlled early enough, my condition advances to a full blown panic attack. For the most part, I have a grip on this concern. When temps get too low, I have a neck “scarf” that I wear which covers my mouth and nose, reducing the amount of direct cold air that I inhale. Back where I used to live, co-workers would actually make fun of me for wearing the scarf in temps as high as 50 degrees, but the alternative to not wearing it helped me to let their comments fall on deaf ears. Of course, another issue I have with the cold, is a result of open heart surgery, again, damage from long term effects from radiation and chemotherapy on my cardiac system. My temperature tolerance dropped approximately ten degrees, and for me, that is a big deal. I used to be a skier. I used to wear shorts in 30 degree weather including snow. 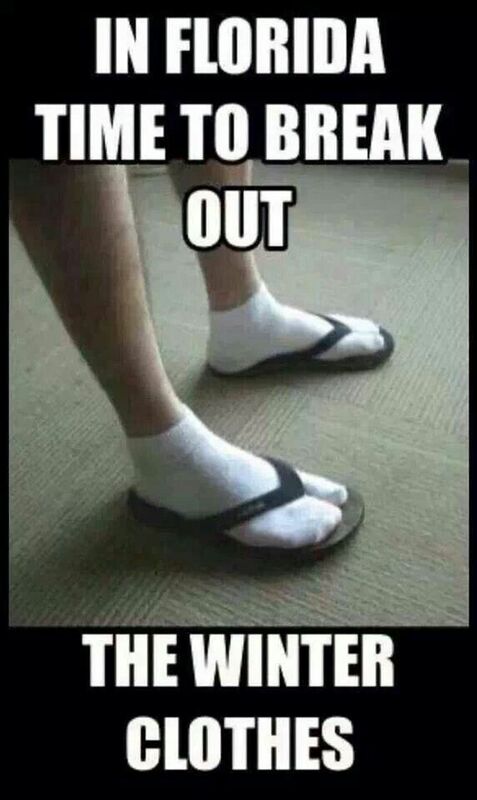 But the other night, my body let me know, it was time to put away the flip flops and get some socks on. Okay, so I deserve to be made fun of just a bit, when it comes to dealing with “cold” temperatures. I also think I deserve some slack. My current health issues were not caused by my own doing.